Acid Stain is not a paint or coating. It's a coloring process that involves a chemical reaction that penetrates the concrete. It works very well on new or old concrete. Acid Stain is a very durable product and it can be applied to both interiors and exteriors. Acid Stain gives concrete a mottled, variegated, marble like look. It creates beautiful colors on concrete, mostly earth tone browns, reddish browns and greens. You can create your own shades by mixing and matching your colors, or applying them at different rates. Never expect acid stain to be uniform or have an even tone, we’ll often get different reactions from slab to slab, and even on the same job you may see different coloration patterns. 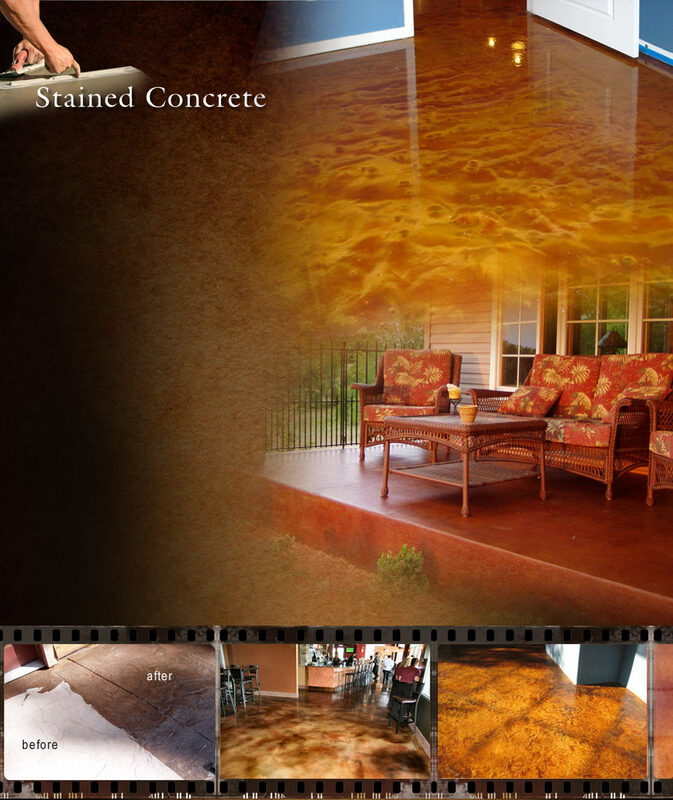 Acid Stain can be applied to walks, entrances, driveways, living rooms, bathrooms, patios, and high traffic areas. On some applications where the surface area is textured, such as stamped concrete or stamped overlays, acid stain provides even more depth of color, larger selection and realistic look to the surface.